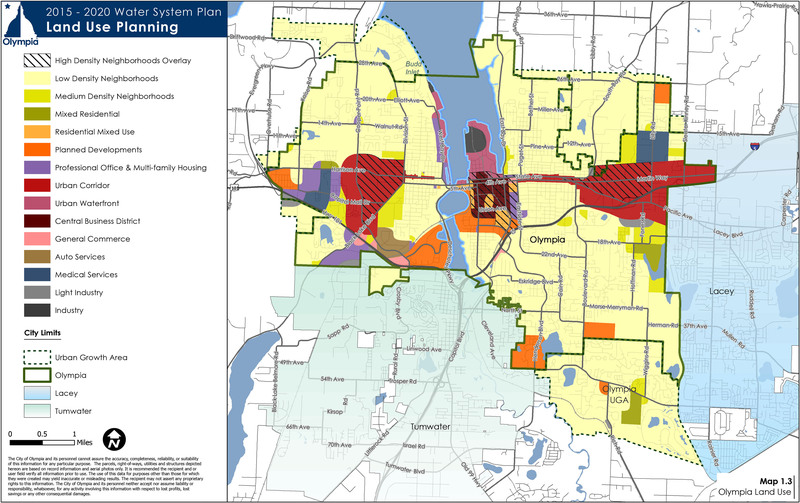 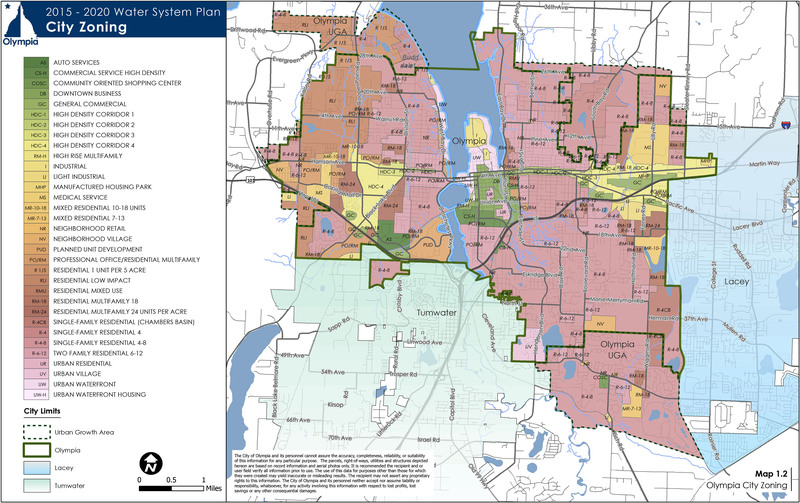 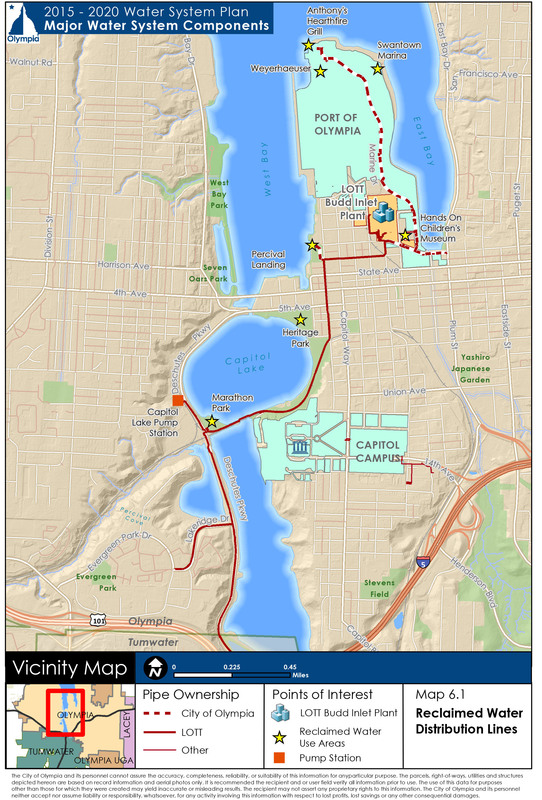 Maps for the City of Olympia's 2015 Water System Plan. 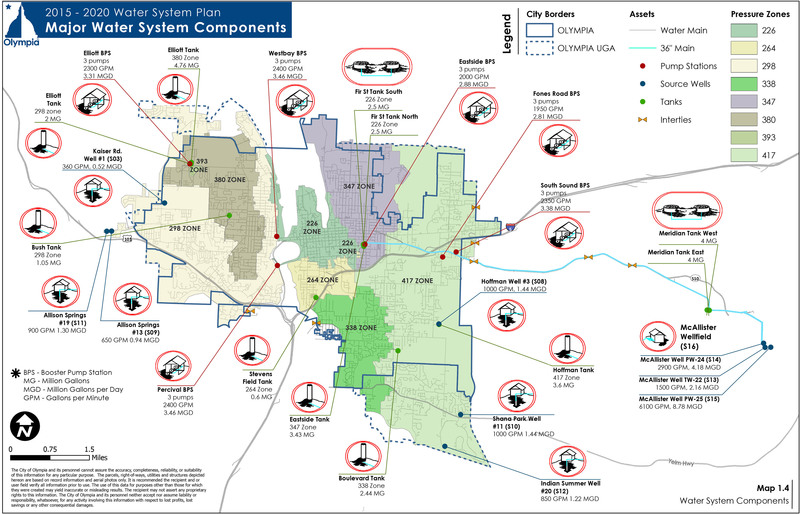 This was a many-month long project that evolved over time and drew on a variety of city databases. 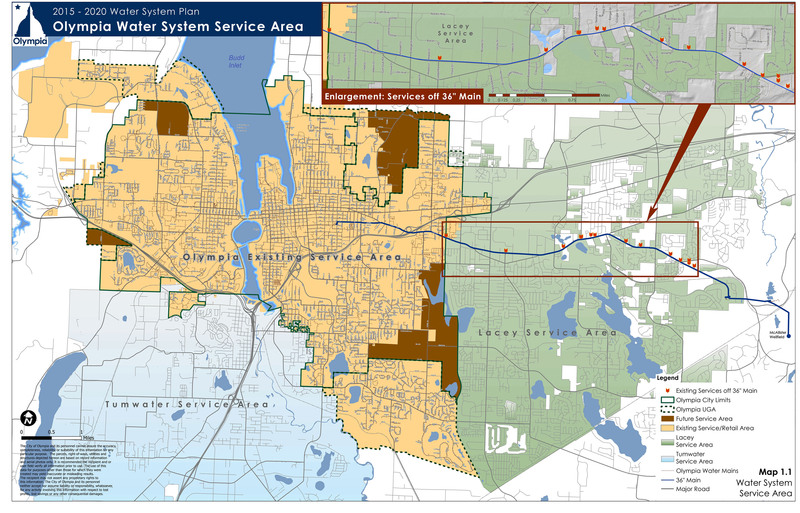 Through the production of these maps we were also able to spot deficiencies in and update existing geodatabase files.